What defines an iPlayHockey Team of the Month? 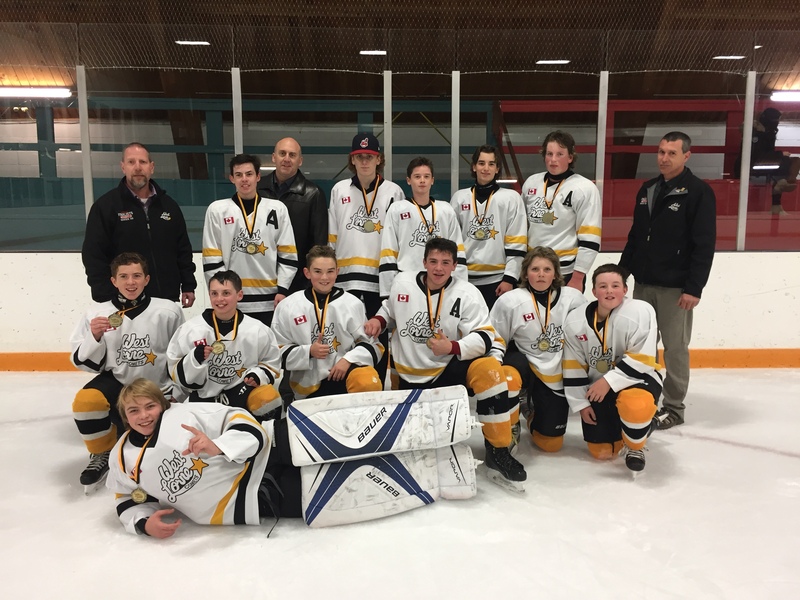 The iPlayHockey “Team of the Month” promotion is a free to enter contest, designed to promote support hockey teams across Canada. The contest is open only to legal residents of Canada over the age of 13. To enter the contest, you must submit your entry over Facebook, Twitter or Email. Once you have entered for one month, your entry will be considered for future months. Upon entering, you are acknowledging that iPlayHockey may share your entry along with any photographs that are submitted on the iPlayhockey.ca website as well as all social media platforms. The prize for each winner will be a team set (24 units) of iPlayHockey hats as well as an iPlayHockey coaching board! Cost of shipping will be covered by iPlayHockey. 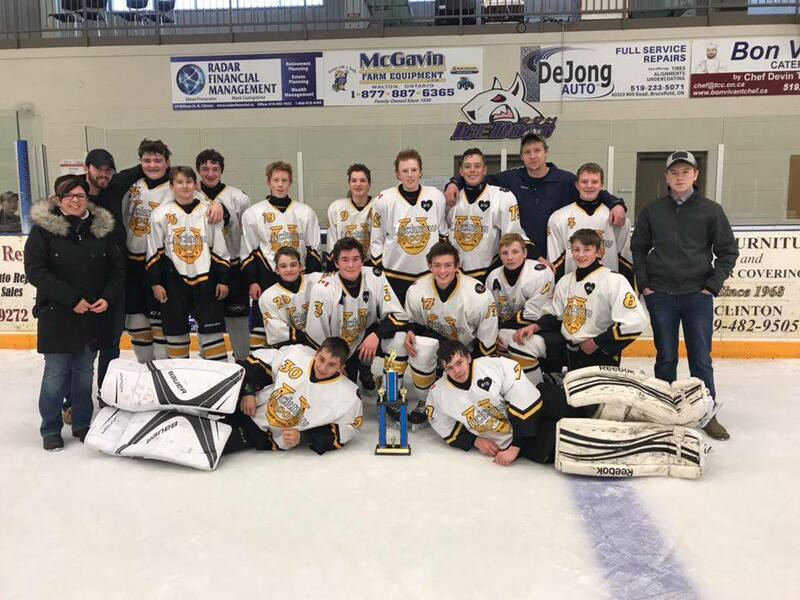 Congratulations to iPlayHockey's Team of the Month for March 2019 - the Elliot Lakes Toppers! They are a very encouraging beginner team who never gave up this year. Their support for each other is amazing. They played every weekend in and out of town while learning the basics this year. 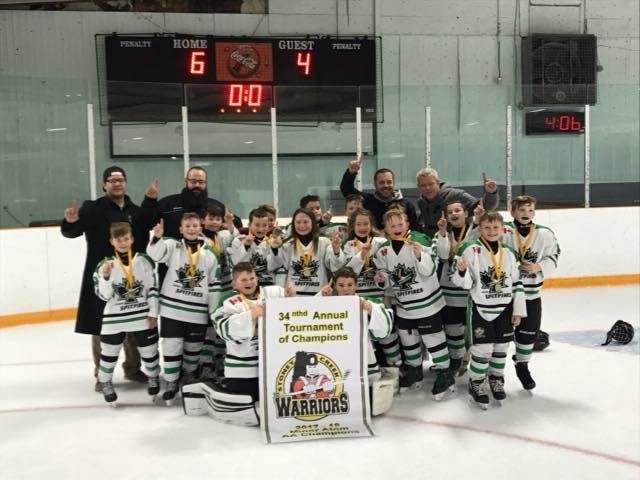 Their arena had closed recently due to snow issues, so a town close by offered to have Elliot Lake there, and finish up the last couple games before the big tournament this year. They pulled out their first win in the very last game of the year, showing that they never give up. All of the parents and coaches are super proud of the team! The Cowichan Secondary Ice Hockey Thunderbirds and a group of players from across central Vancouver Island working hard to draw new female athletes to the game by building a high school league for them to play in! 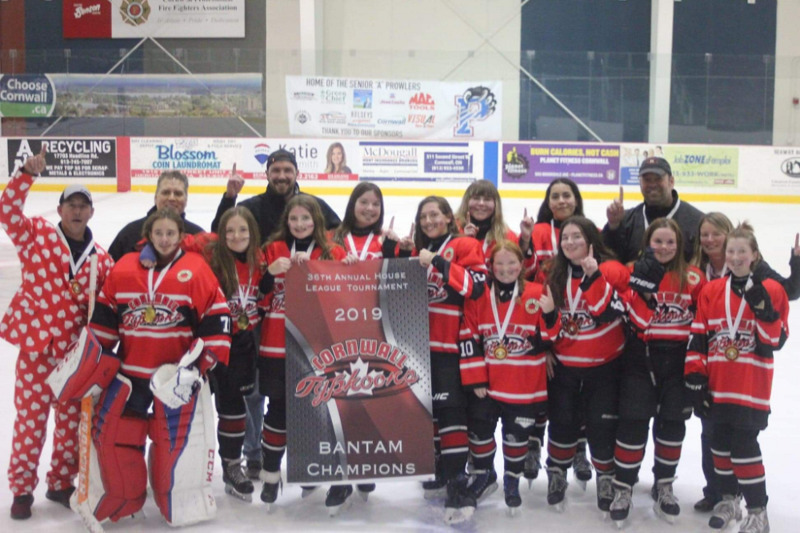 The highlight of their season so far was being able to compete in WickFest 2019, and share their love of the game with 800 other young female players! They wish to extend a thank you toHailey Wickenheiser for making it happen, and BC Hockey for helping to get them there! 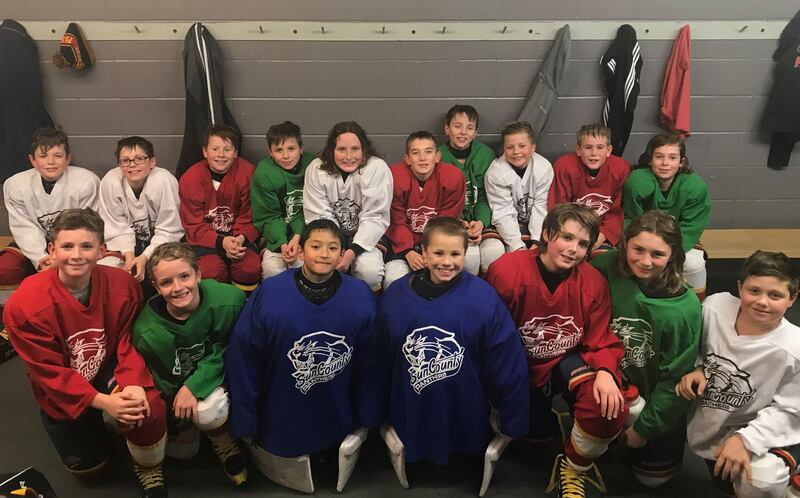 The Belle River Canadians Atom Major AA were chosen as one of the teams to host the OHF's this year for their age division and the boys have been busy along with parents planning for this event. They have gone to town council meetings, helped with fundraising, along with staying focused on their current hockey practices and games. They are a great group of young boys who have bonded over this very unique experiencing they get to be a part of this year. The Sun County Panthers Atom AAA Majors never give up! The season thus far hasn’t had an abundance of on ice celebrations, nail biting games or bringing home the W’s but the boys are learning. They are learning that hockey is more then just what’s shown on the scoreboard - it’s about friendships, caring and standing by one another while working hard and staying positive. They show up each day smiling, focused and learning life lessons that will help carry them forward in years to come. Truly a great group of boys! You never lose. You either win or you learn. The Huron Bruce Blizzards are off to a great start! 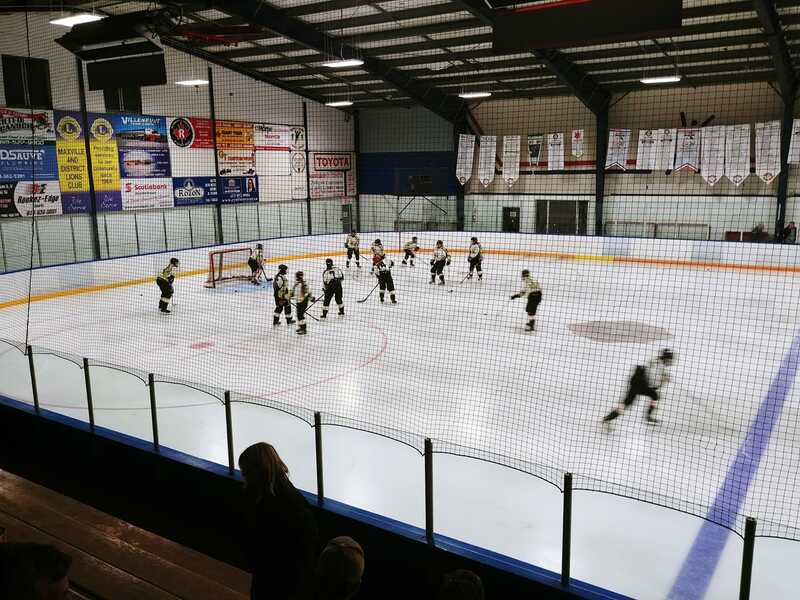 This is the first year that Lucknow and Ripley Minor Hockey have joined together, starting Huron Bruce Blizzard Minor Hockey. This is the first year these guys have played together starting with a 9-1-2 record and a B-side tournament win! 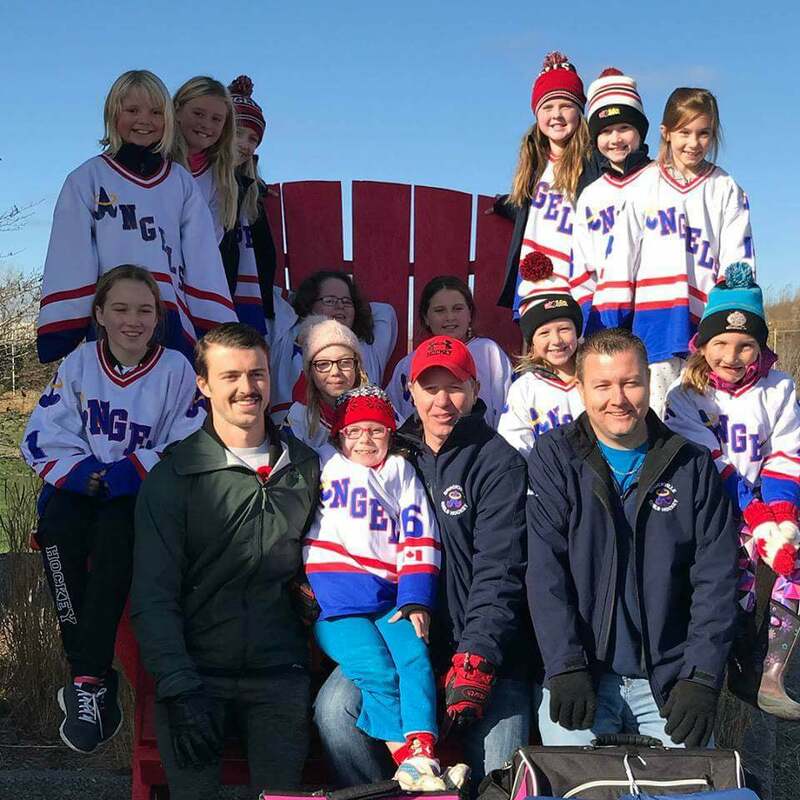 The Glengarry Highlanders Midget A team is made up of young ladies with a variety of talents that make this team what it is. They are hard working and dedicated to one another and give all they have to be successful on and off the ice. The Highlanders are all in, all game, all season. Good luck this year, girls! 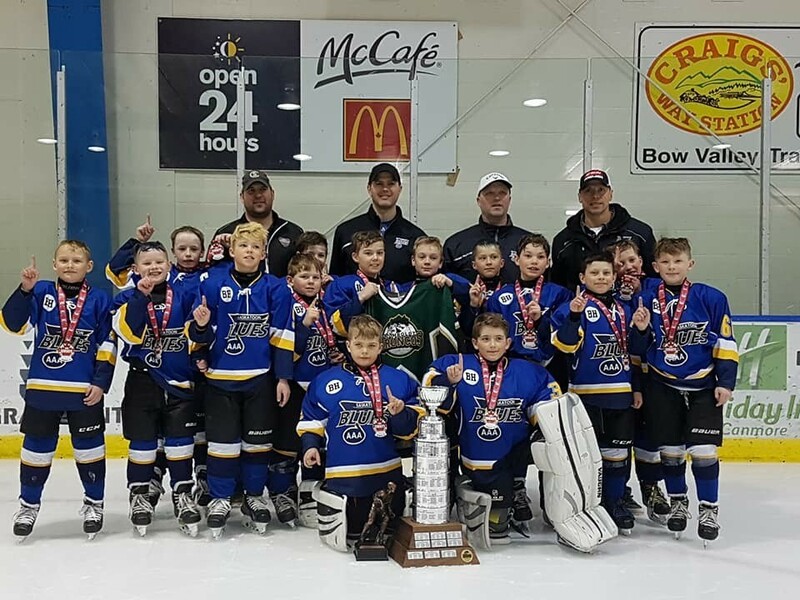 The Smith's Falls Atom A cubs have worked hard to get where they are today. After a successful year last year playing B, they have moved to the A-level with their team of major players. They have combined their team this year with new players from out of town. They are so proud of how quickly these young girls have come together to be quick friends and working well together on the ice. They would like to welcome back the best coach around and we wish these girls a successful year ahead and to remember to have fun! 13 of the 17 players from last year will suit-up together again this season! The Shelburne Wolves showed what the true spirit of a team is this past season. Even though they finished dead last in the standings with a 2-11-7 record, they battled hard right to the end of the game, and didn't end up with the record they deserved. They went into the playoffs fast and hard and ended up finishing 4th, well above their regular season placement. At home and facing elimination, the coaches and parents told them how proud they were of them no matter the outcome but it was their dedication and teamwork that got them there. They won that game forcing game five back in Coldwater. It was a tight game until the home team went up 3-1. The Wolves roared back to go ahead 4-3 which they tied and forced overtime and were able to finish the game the way those kids were determined to and that was with a win. 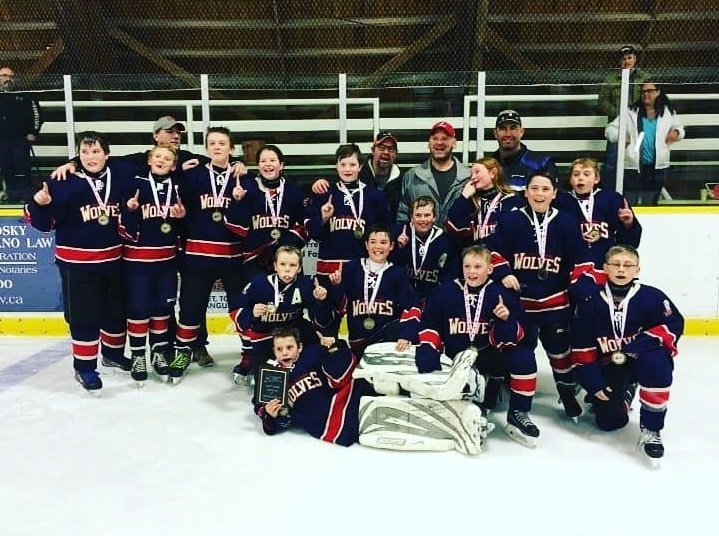 Valley Elite's novice spring hockey team was absolutely DOMINANT this past season, playing to a 15-1-3 record and displaying incredible sportsmanship and respect for their opponents along the way. Along with their fantastic record, they also managed to win two tournaments and finish as the runner-up in another! 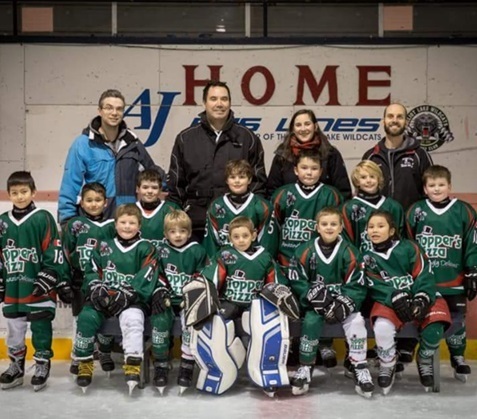 The Saskatoon Junior Blues are a AAA team filled with hard-working and respectful young boys. It's their third season playing together and competing in the Gold Division. 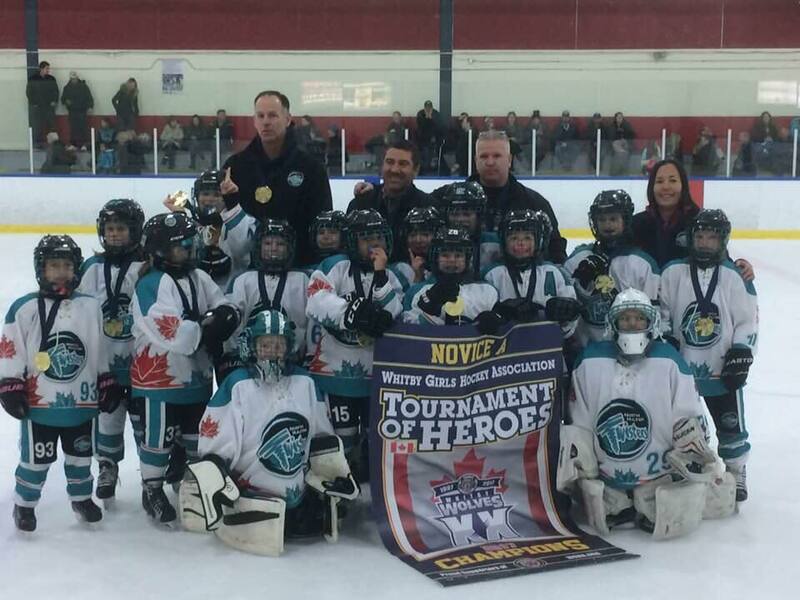 They recently battled hard and were able to WIN the Top Guns Tournament in Canmore, Alberta! 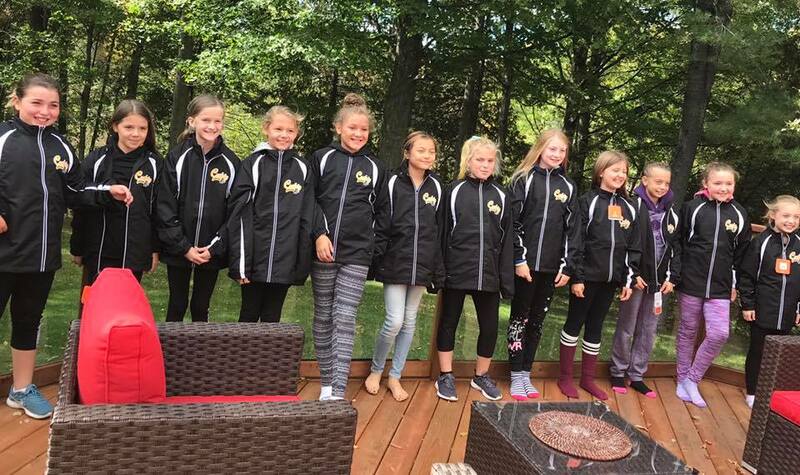 The Brockville Girls Hockey Association's Atom House Angels - with five girls brand new to hockey, every single girl reached new accomplishments every practice and every game. Giving their all, never giving up, not letting anything stand in their way, They encourage each other, they comfort each other. These girls are the true meaning of a team. They wear their hearts on their sleeve. They play for the name on the front of the jersey, not the name on the back. At such a young age, they all show an amazing level of maturity and their parents should be very proud. As of now, the North Halton Twisters Novice A are 55-0-1. They have won all five tournaments they have entered and are league champions. They have scored 411 goals and given up 45 this year. Pretty incredible. Well done, girls! This awesome team are good friends, on and off the ice. 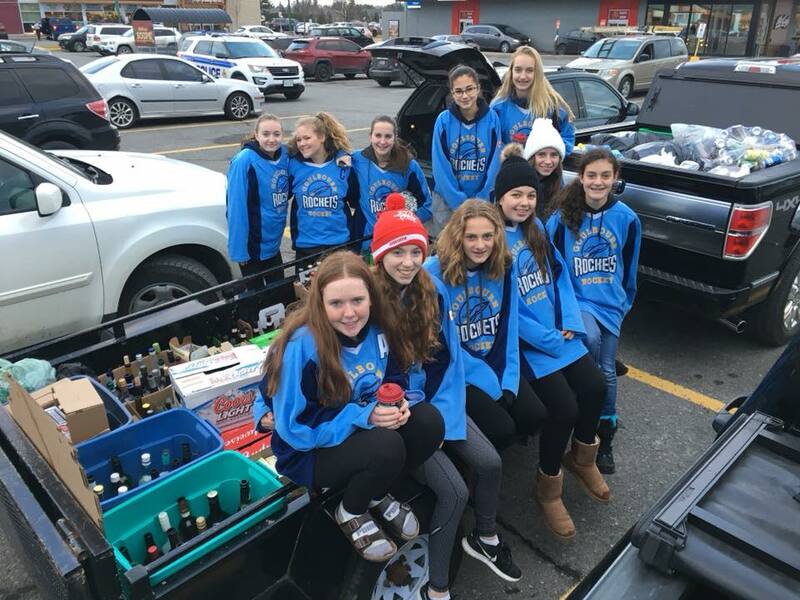 Whether they are playing in a game, a tournament or involved in a bottle drive team fundraiser, these girls are always working hard, demonstrating their love for the game while respecting each other and their opponents. 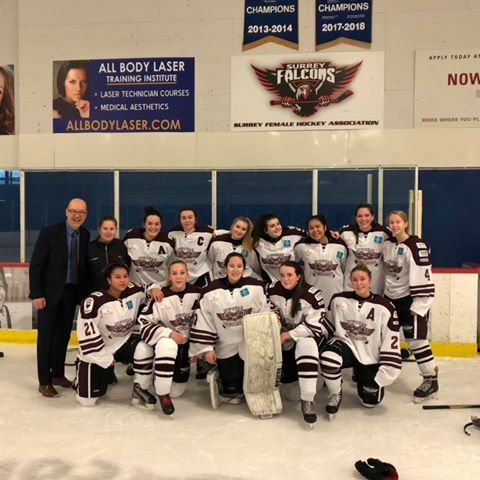 Their perseverance and dedication earned them finalists’ medals at the 2017 Kingston Girls Hockey Association (KGHA) Tournament, as well as finishing first overall in their division as 2017-18 Regular Season Champions (ODWHA “West Piper” Bantam House League Division). A successful season indeed! Go Rockets! 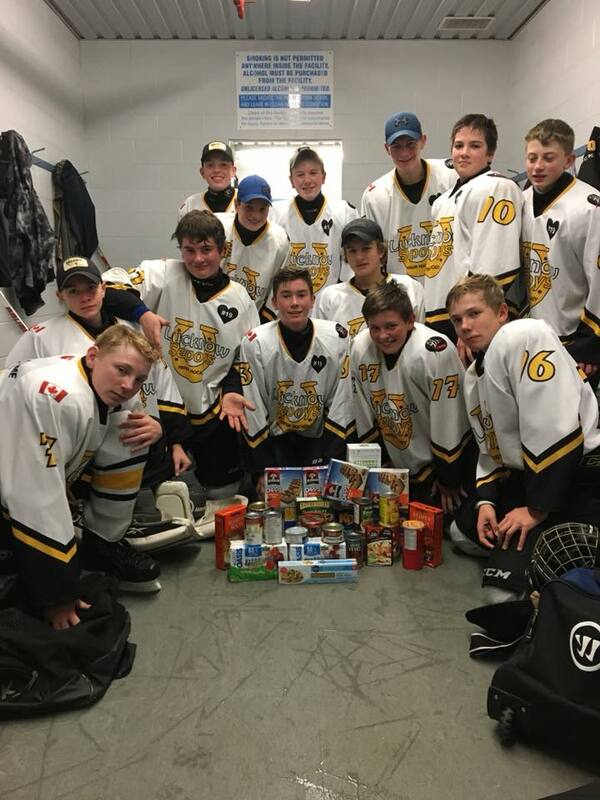 The West Lorne Comets Bantam Rep team is a great example of what small town hockey is all about. 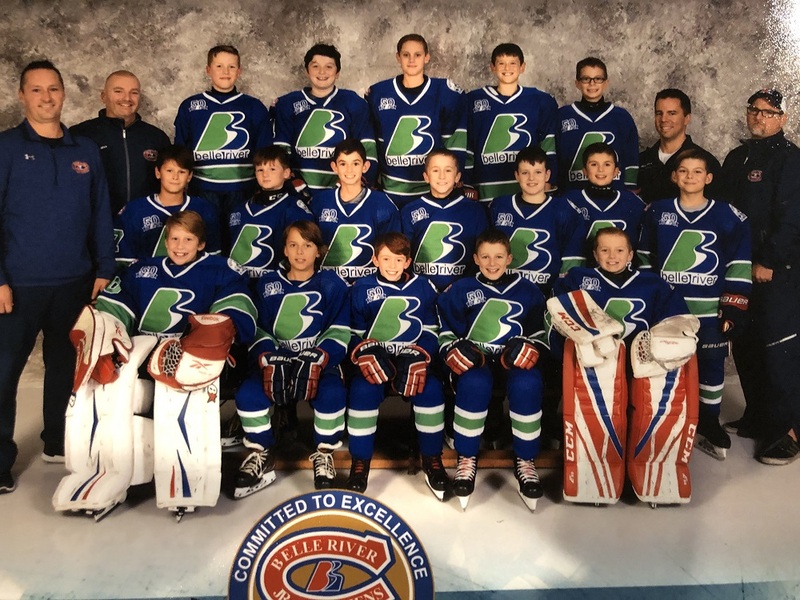 Comprised of ten skaters plus two call-ups from the local peewee team, this team is very competitive against much larger centers they face game in and game out in league play. The team works hard every game and leaves everything on the ice. They are a great group of young adults who are very coachable and eager to improve and develop! Teamwork, respect, battling hard and having fun. That is the focus of the Lucknow Sepoys each and every time they hit the ice. Some of them have been playing together every year or second year since Tyke. Over the years the teamwork and friendships have made them better players, teammates, coaches, and more importantly, good friends. 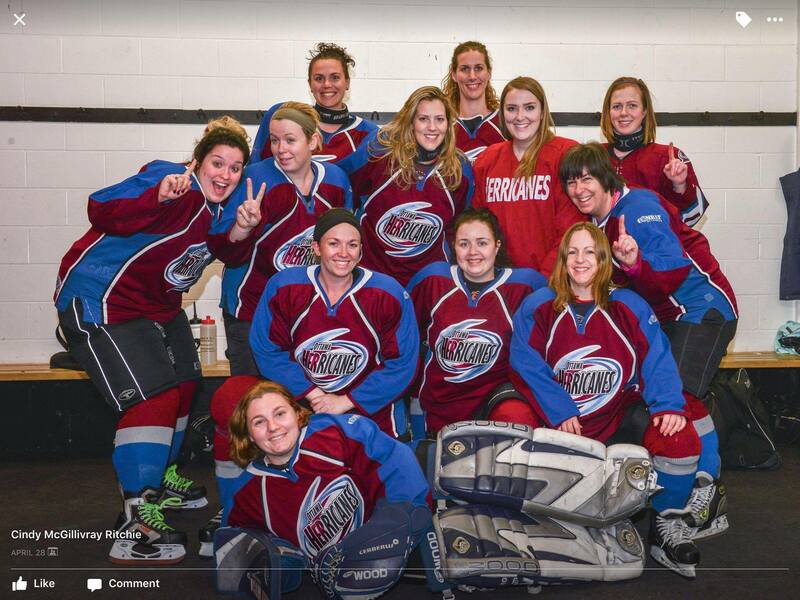 The Ottawa Herricanes are a group of ladies who have been together for almost 10 years. Most of them started their hockey career as adults and their love of the game has kept them together over the years. Their age range is 24-52 years old and they have great spirit and joy!